I get to see the family often, at least once a year, and we manage to change things up just enough to keep it fun! 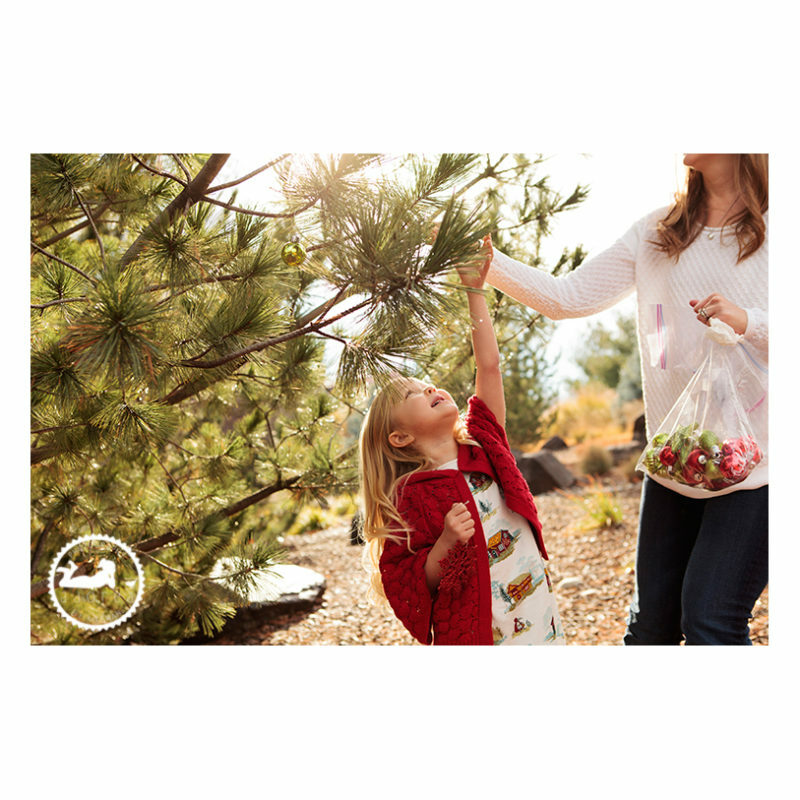 For this session, they brought along some ornaments to hang on our local ‘pine’ trees for that holiday look! Turned out adorable. 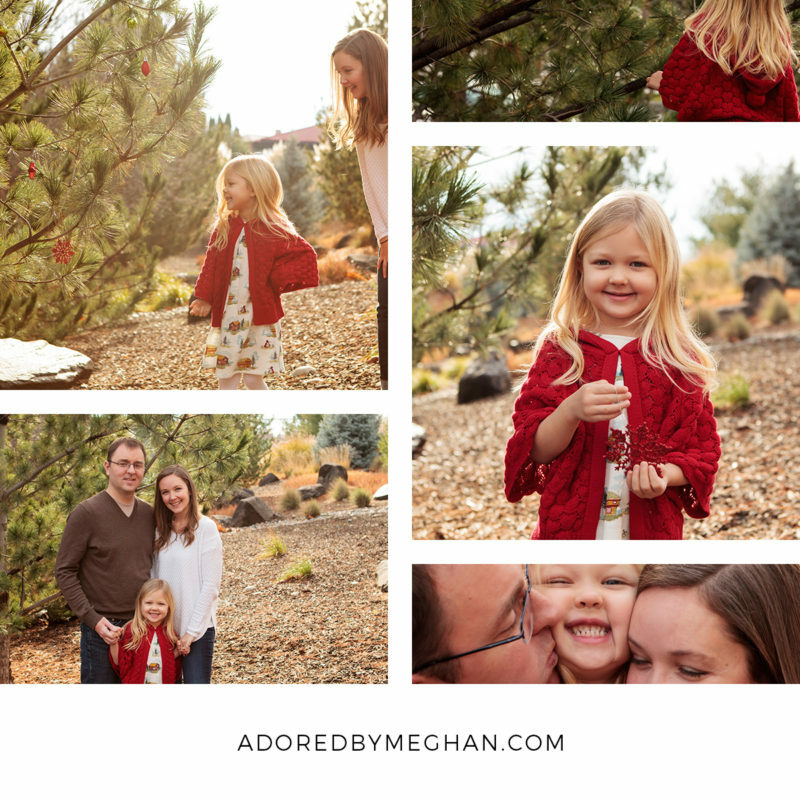 Christmastime is so magical for kids, I love it when the parents get to have a little fun too. The little details included a sneaky glance, little blonde curls, and a squished hug. Isn’t her outfit just the cutest?! 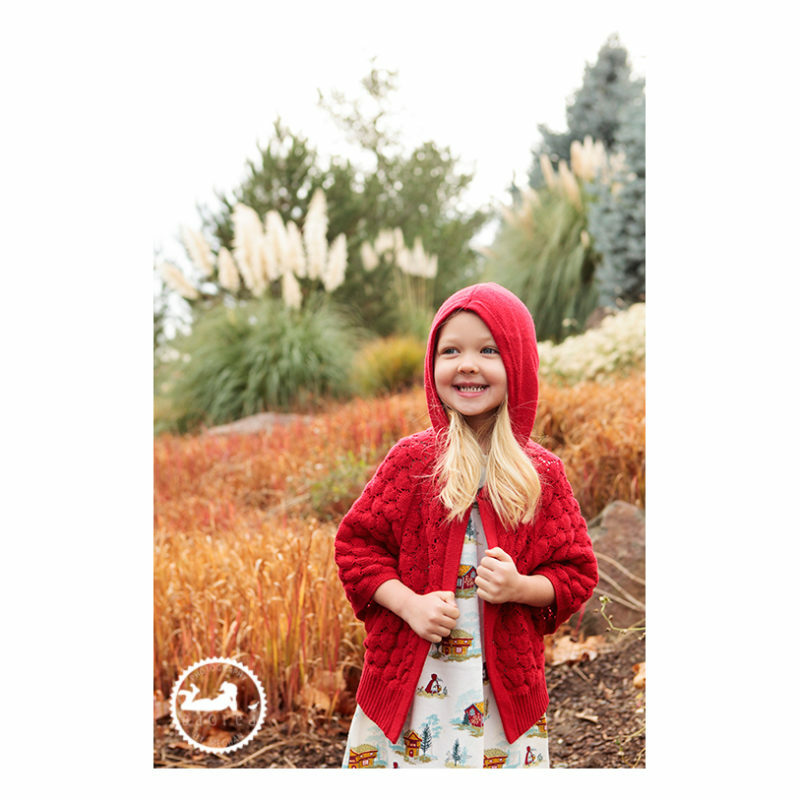 She was a little Red Riding Hood. So precious! I can’t wait to see how our future sessions will turn out! 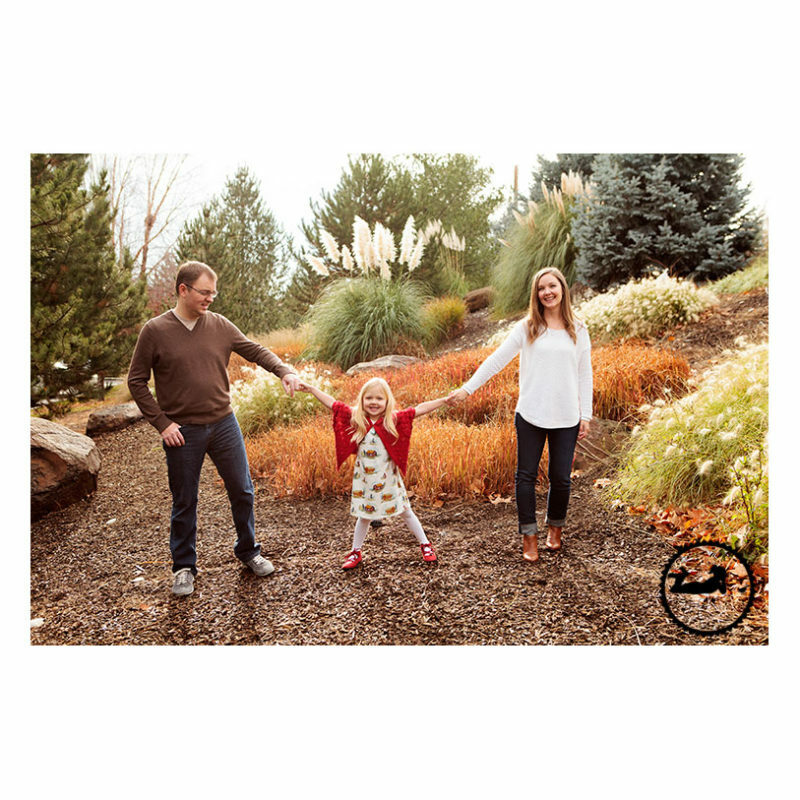 Check out one of my favorite sessions with this family here!